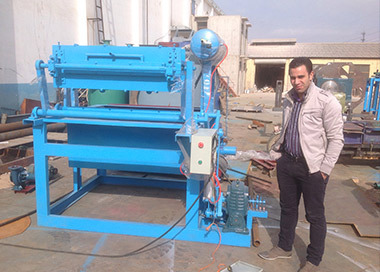 Egg tray making machine has been exported to many countries, such as Algeria, Egypt, India, Dominica, Zambia, Tanzania, Cote d’Ivoire, Philippines, Russia, Ukraine, Uganda, Australia, Argentina, Brazil, Saudi Arabia, Libya, Syria and so on. 1. We will give more details for your concern problem through email, whatsapp and phone the first time we have received your inquiry. 2. Commonly, egg tray has 30 holes. If you need, we can customize it for you. 3. 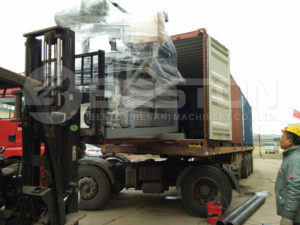 We will arrange expert to help you install machine. And our engineer will train your workers if you need. 4. If you meet any problems during operating, you can contact us to help you to solve. 5. We Beston guarantee for you with lifelong maintenance at all times. 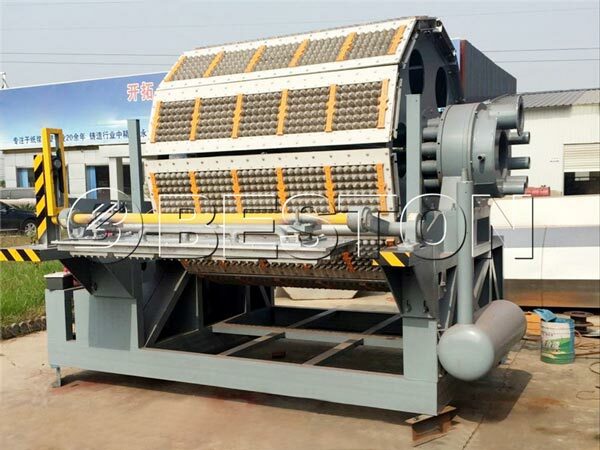 Paper egg trays are the end products of eggs tray machine. Egg trays are good protection shell for eggs during transporting and storage. Usually, the egg tray has 30 holes. 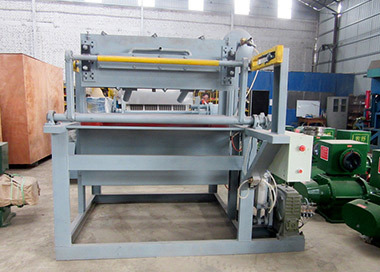 What’s more, if you change the mould, the machine can be used to make apple trays, egg cartons and so on. 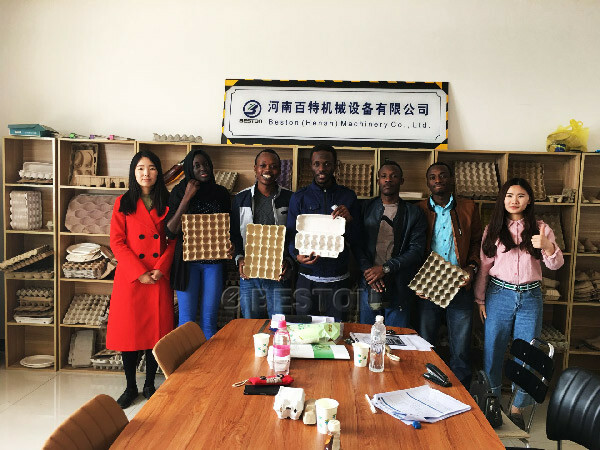 Raw materials for making egg trays can be original wood pulp, craft paper, old newspaper, old books and other kinds of recycled papers. 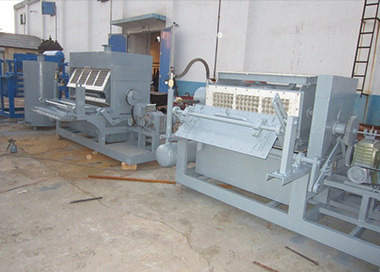 Egg tray machine is used to make paper egg trays. 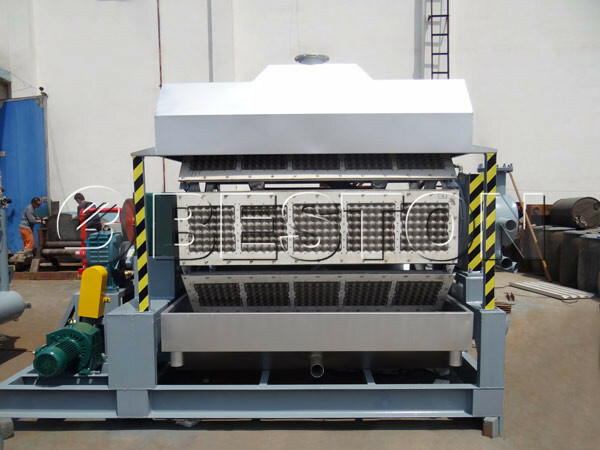 The paper egg tray making machine can be divided into manual egg tray machine(1000-1500pcs), semi automatic machine(2000-4000pcs) and automatic machine(4000-6000pcs). 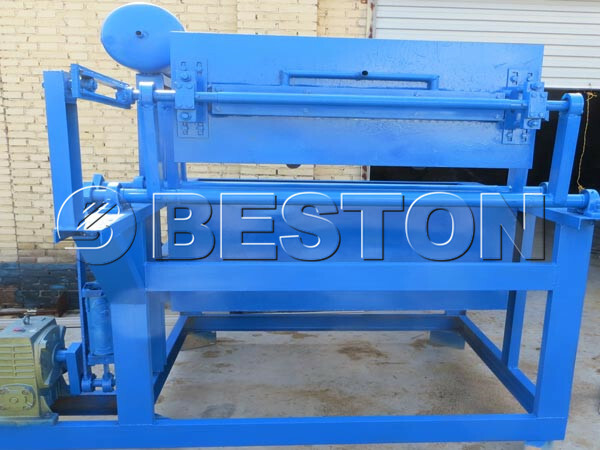 Ask the egg tray machinery price now! 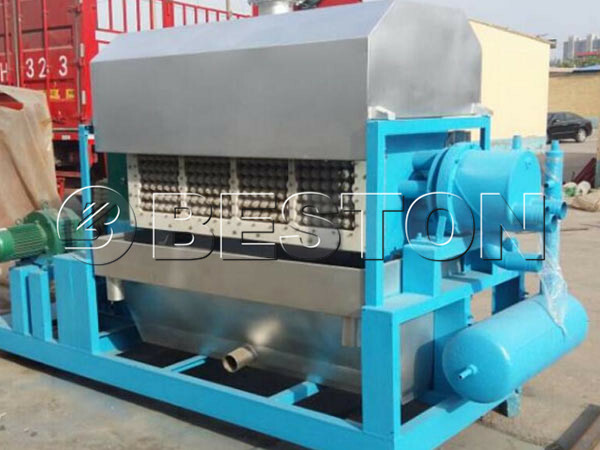 Pulping process: It is the process of mixing the raw materials with water. Then you can get the slurry that is dried to form the egg trays. 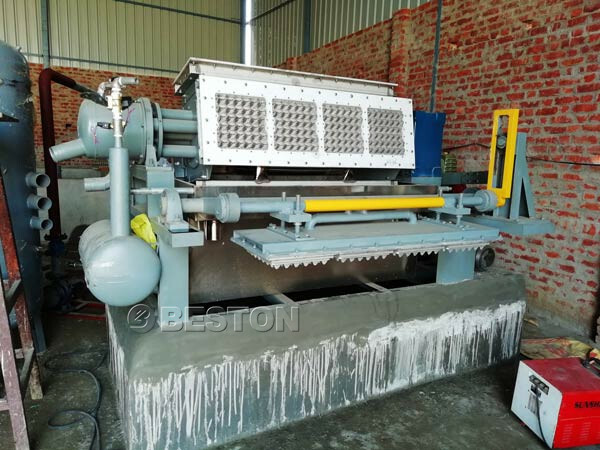 Molding process: The process is that using negative pressure and vacuum absorption turn the slurry to egg trays. 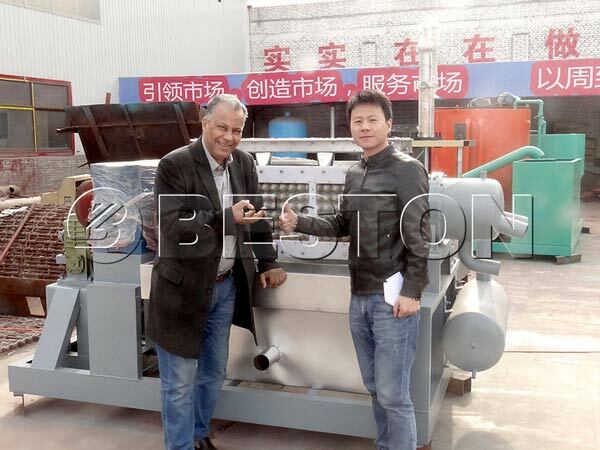 If you change the mold, you can make egg cartons, apple trays and so on with the egg tray machines. 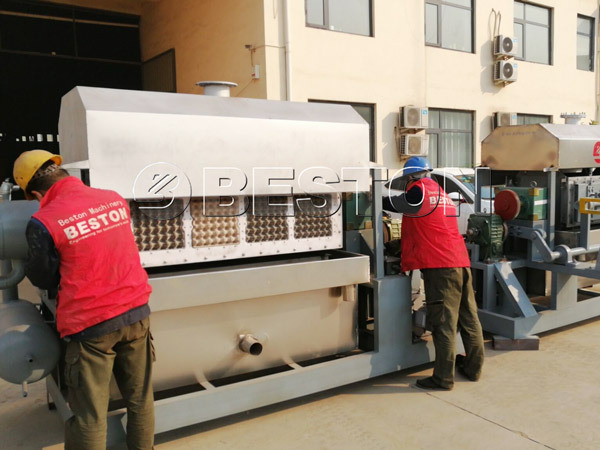 Drying process: It basically involves drying the wet semi-finished products by using egg tray drying line. Good dying process can lead to minimal losses of poorly-formed trays. 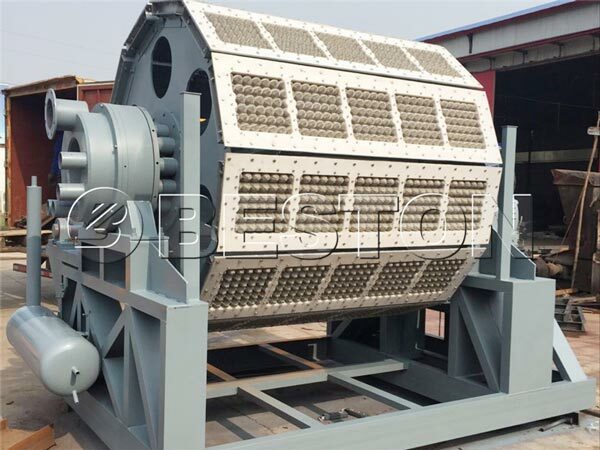 There are metal and brick egg tray drying line. Packing process: With hot press machine, we can squeeze large amounts of egg trays into together. Thereafter, egg trays will be packaged in the desired way. 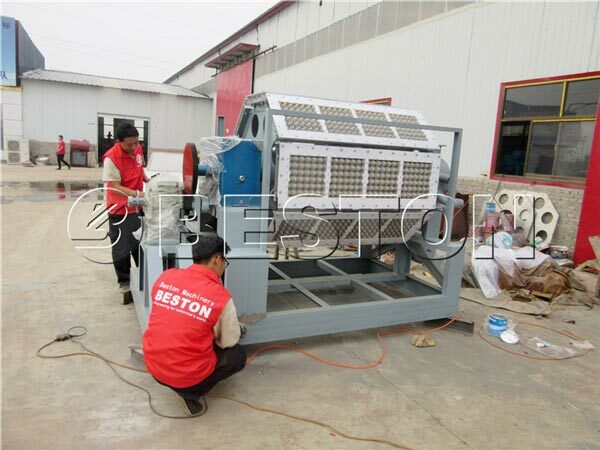 Also, it is convenient for conveying egg trays after hot pressing.